Prof. von Eisenhart-Rothe is a specialist in orthopaedics at the Rechts der Isar Hospital of the University of Technology Munich. Here, the orthopaedics specialist is director of the Orthopaedics and Sports Orthopaedics Clinic and Polyclinic. His particular treatment emphases are, for example, the implantation of endoprostheses in all major joints and the implantation of customised prostheses, as well as replacement surgery for loose or worn endoprostheses. At the same time, joint-conserving orthopaedics is also a treatment emphasis for the specialist in orthopaedics, Prof. von Eisenhart-Rothe. In addition, he also performs adjustment surgery. Using these techniques, the orthopaedics specialist treats, for example, particular conditions such as osteoarthritis, rheumatism, osteoporosis and malposition of the foot. As well, Prof. von Eisenhart-Rothe is also a specialist in paediatric orthopaedics. Together with his team, this specialist in orthopaedics treats the entire spectrum of orthopaedic conditions at the University Hospital and treats his patients using the most up to date diagnosis and treatment standards. 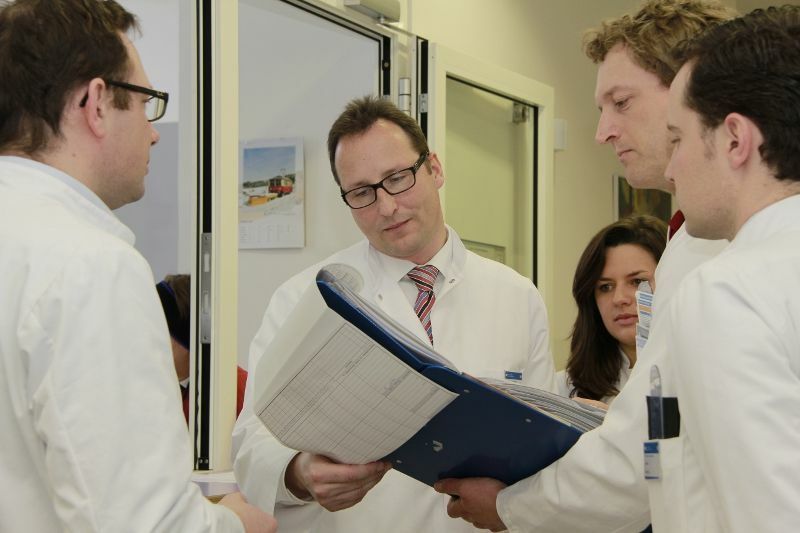 Above all, you will find capable counselling and treatment for uncommon or particularly complicated diseases and injuries at the Rechts der Isar Hospital of the University of Technology Munich. In the field of endoprosthetics, the focus of the orthopaedics specialist is on the implantation of customised endoprostheses, surgical procedures using customised templates and revision endoprosthetics (replacement of an artificial joint replacement). 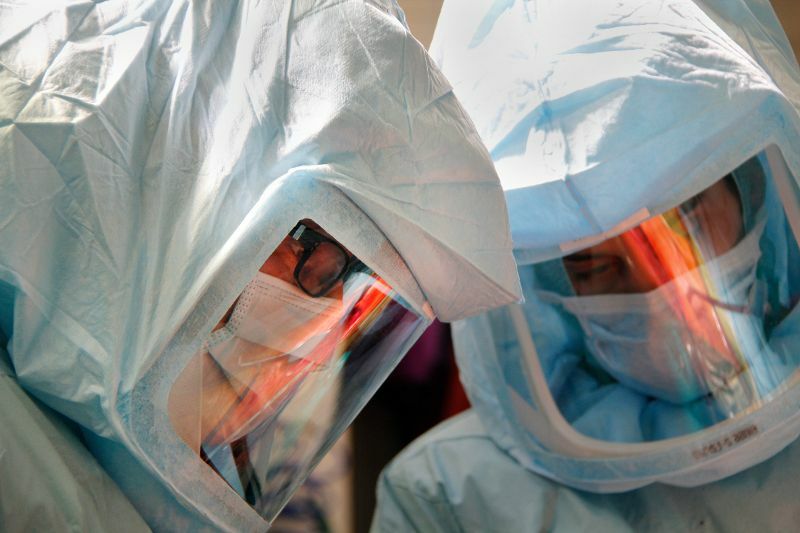 Prof. von Eisenhart-Rothe uses the most up to date and reliable implants and the Orthopaedics and Sports Orthopaedics Clinic and Polyclinic is equipped with operating theatres of the highest clean room category for the prevention of infection. 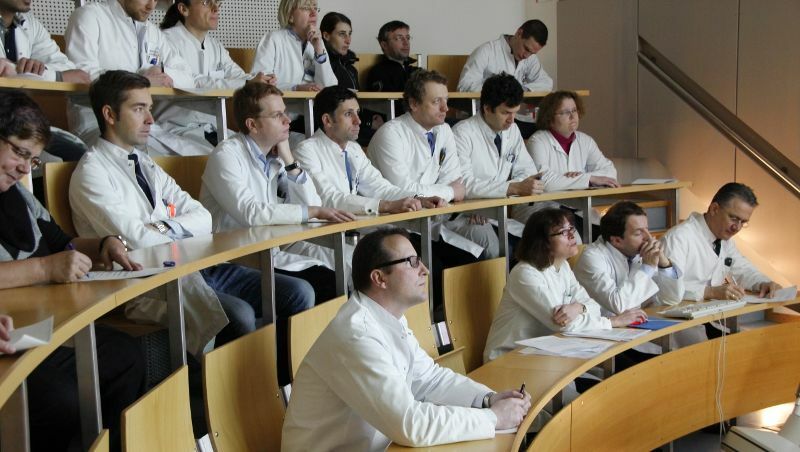 The Musculoskeletal Tumour Centre (MSTZ) in Munich is internationally renowned and can look back over 40 years of experience. 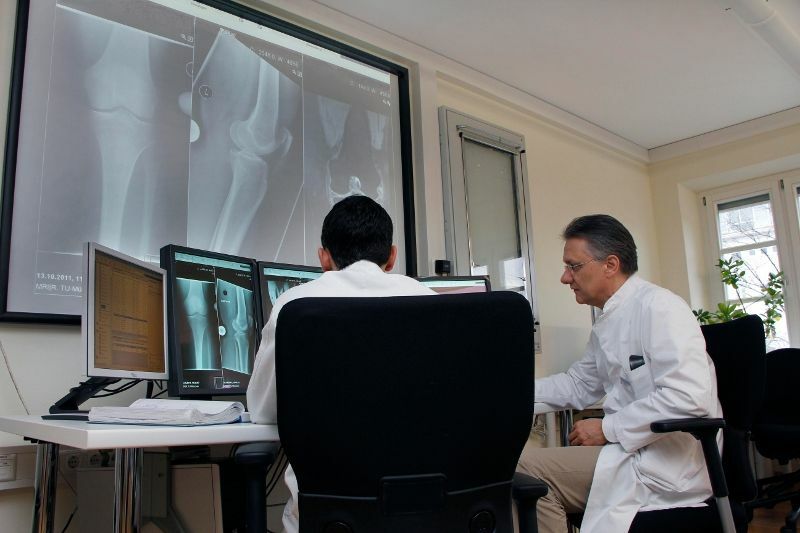 The specialist in orthopaedics operates on the whole spectrum of bone and soft-tissue sarcomata at the highest level. Here, he places particular emphasis on close interdisciplinary collaboration with all specialist departments engaged in the treatment of tumours and thus can guarantee optimum, complete treatment. In the process, each tumour patient is also given psycho-oncological care on request. Of course, the orthopaedics specialist also provides follow-up tumour examinations. 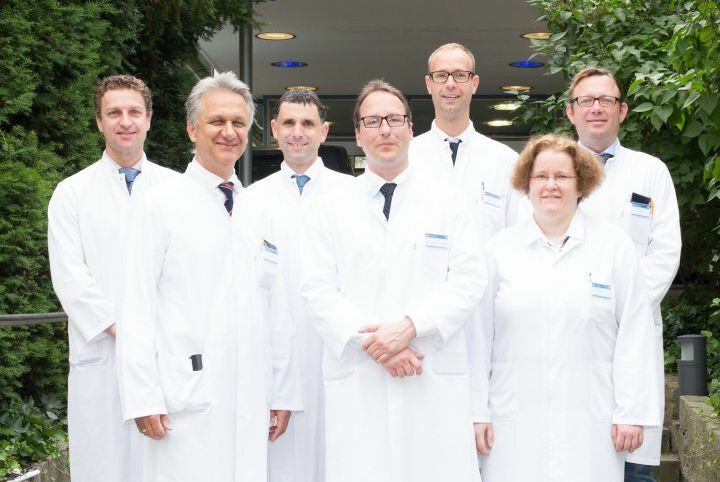 Joint-conserving orthopaedic surgery traditionally has a great importance in Prof. von Eisenhart-Rothe’s department. This includes the entire spectrum of minimally invasive and open surgical techniques, including hip-joint arthroscopy, cartilage replacement techniques and corrective osteotomies. At this hospital with the highest level of care, the specialists in orthopaedics, in interdisciplinary collaboration with other specialist departments, including several intensive care wards, are able to perform the most difficult surgical procedures with the optimum patient safety. 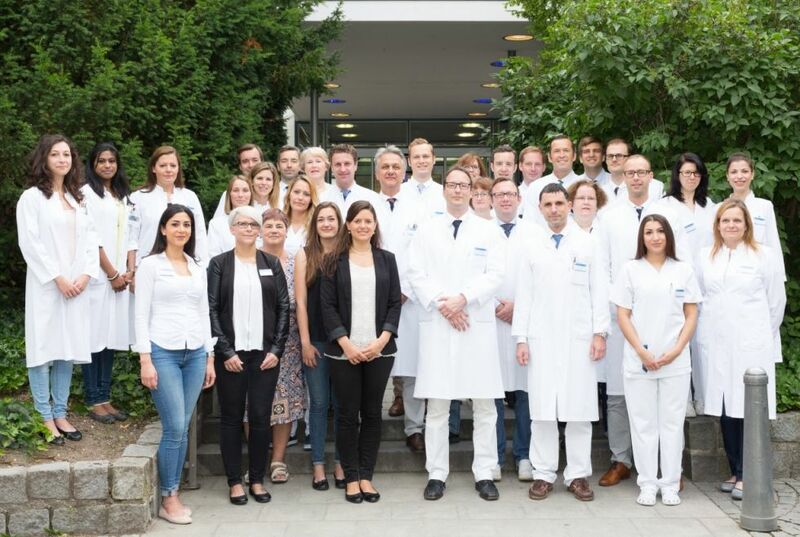 It is a matter of importance to the orthopaedics specialist, Prof. von Eisenhart-Rothe, not only to treat his patients medically flawlessly, but also with a friendly human touch. For this reason, they are individually cared for by him. With a high level of dedication, each member of staff at the Orthopaedics and Sports Orthopaedics Clinic and Polyclinic will arrange your stay as comfortably as possible. The patient is always the centre of attention in the treatment! What’s more, the team of the orthopaedics specialist Prof. von Eisenhart-Rothe in Munich is also on hand for you and your family members by telephone or e-mail for all enquiries and information prior to a visit or stay. Benefit from the team’s high level of expertise and experience.